Japan’s flag, known as the Hinomaru, is a world renowned classic due to its simple yet bold design. Even though it is based on symbolism from the 8th century, modern associations leave the Japanese flag with an uncertain future. The red circle in Japan’s flag represents a rising sun, symbolism that’s been associated with Japan almost since the country’s founding. Popular tradition says that Japan was created by Amaterasu, Shinto Goddess of the Sun, nearly 2700 years ago. In fact, Japan’s name translates to “the sun’s origin”, due to its association with Amaterasu as well as its geographical location as one of the eastern most lands in Asia where the sun appears to “rise from”. Texts dating back the 700s A.D. state that Japanese emperors were direct descendants of Amaterasu, further cementing the sun’s importance to the culture. A depiction of naval commander Kiko Yoshitaka’s fleet in 1594. The first use of rising sun imagery on a flag can be traced to Emperor Mommu, who was said to have used a sun motif flag to represent his court in 701 A.D. While the concept of a “national flag” was a foreign idea in Japanese culture, there are several accounts of the Hinomaru being used in this role for several centuries. One such flag, a Hinomaru dating back to before the 16th century, is currently housed in the Unpo-ji temple. The Hinomaru did not become the official banner of Japan until 1854, when Japanese merchant ships were ordered to fly it to distinguish themselves from others. 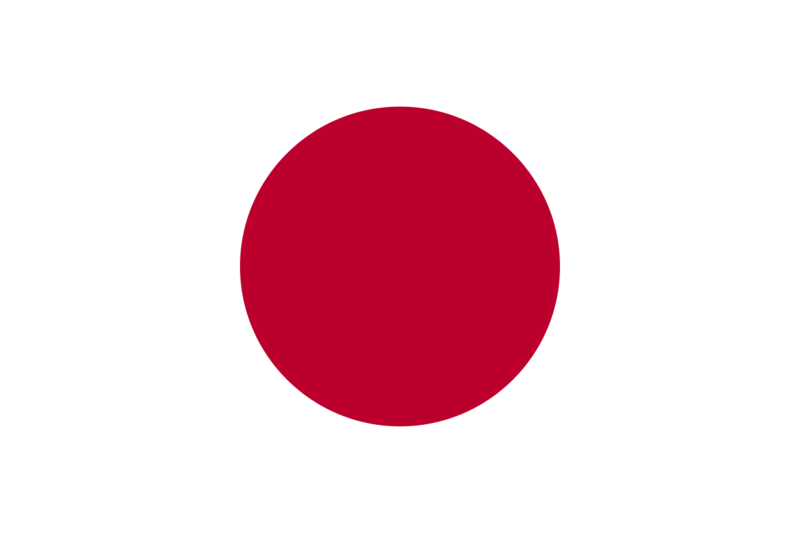 It was eventually decreed as Japan’s first national flag in 1870. This decree was short lived, as it was not included in the Official Gazette of Japan, and was abolished in 1885 during the Meiji Restoration, a period that saw the consolidation of power under Japanese Emperors. Despite stripping the Hinomaru of its status, it remained Japan’s de facto national flag and was prominently used by Japan’s growing military. During the peak of Japan’s imperialism in World War II, the Hinomaru was used as a tool to keep occupied territories in check by requiring mandatory morning flag rituals. After World War II, the occupying U.S. forces put some restrictions on flying a Hinomaru, but never enforced an outright ban. Slowly, these restrictions were lifted and were completely removed by early 1949. Despite the lift, public use of the flag remained low for several years due to its association with Japan’s militaristic and imperial past. Public use steadily increased in the decades after, but many still protested its use and publicly defaced or burned the Hinomaru. In 1999, a law was passed making the Hinomaru the official flag of Japan. It is considered one of the most controversial laws ever passed by the Japanese legislature, known as the Diet. Current cultural perceptions of the flag remain split with many conservatives advocating its use and liberals criticizing it for its association with Japan’s often brutal occupations. Many former colonies of Japan, including China and South Korea, also have negative perceptions of the flag. The colors of the Hinomaru are linked to Shinto ethics. The white represents purity and integrity while the red stands for sincerity, brightness, and warmth. Naval ensign of the Imperial Japanese Navy and the Japan Maritime Self-Defense Force. One of the most well known variants of the Hinomaru is the War Flag of the Imperial Japanese Army, depicting 16 rays emanating from the rising sun. Like the Hinomaru, it was also first adopted in 1870 and used through World War II. The flag was reinstated for use by Japan’s self defense forces in 1954. Like the Hinomaru, the War Flag is seen by some in a negative light, especially by former Japanese colonies.